Quality construction in progress and proposed completion date is Mid May. Sample pictures of exterior of a smaller home built by builder. 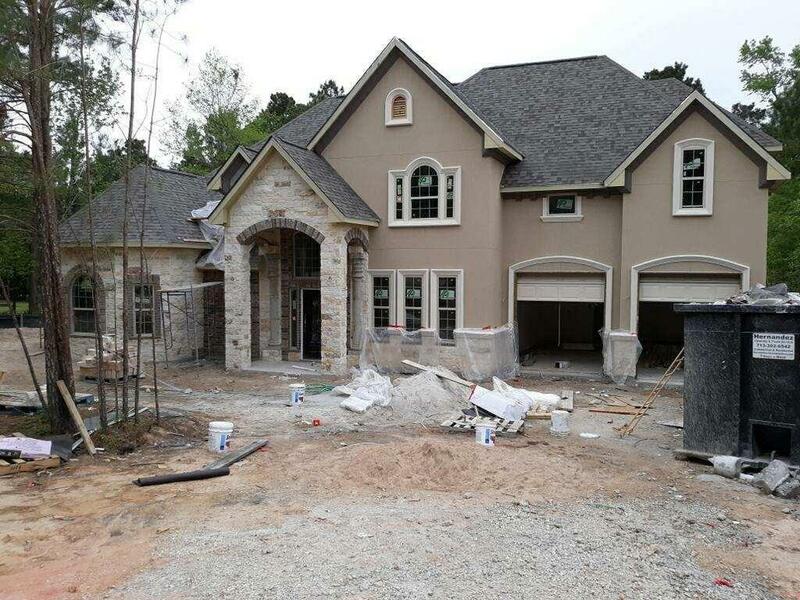 This home will have stone, brick and stucco exterior. Extra large back covered patio overlooks large partially cleared back yard with plenty of room for a pool oasis. Interior rooms are posted in the mls. This home could have 6 bedrooms. Downstairs has the master with luxury bath, huge master closet. Study downstairs with large closet could be additional bedroom, exercise room, etc. Kitchen has an extended walk in pantry. New pictures will be updated as construction progresses. Laundry/mud room is conveniently located between kitchen and garage. 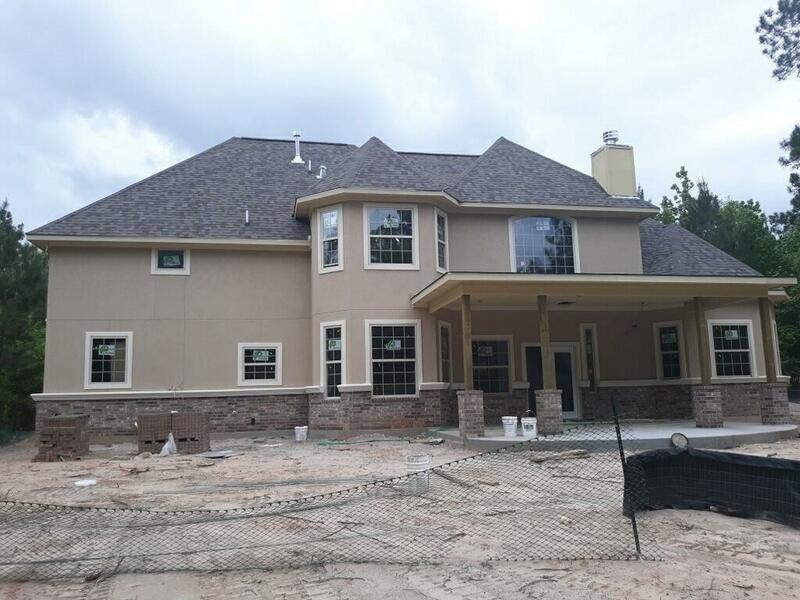 Upstairs balcony over looks the expansive family room with 2 story ceiling and windows. 2 large bedrooms up and additional gameroom plus an extra media room...could be additional bedrooms too. Construction is in a stage where buyers can select colors.